You want to be able to rest with complete peace of mind that you’ve hired the best in the business when it comes to house removals in the Milton Keynes and Bedford area, be sure to get in touch with us today. There are lots of removal companies around, but few of them pay close to attention to detail and offer fantastic low rates like we do right here at TH Removals. Our company was established back in 2000 – we started out catering for clients in Milton Keynes and Bedford – and as more and more people have recommended us to their friends and family, we’ve started operating throughout much of Bedfordshire, Buckinghamshire and Hertfordshire. 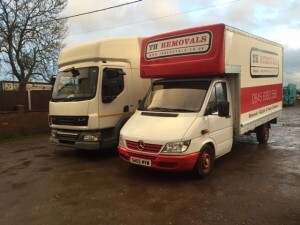 Our removals service isn’t limited to within those counties however like a lot of rival removal companies. Instead, we offer nationwide coverage – so whether you’re moving into or out of one of the aforementioned counties, we can help with your house move! We don’t cut corners in any respect – that’s why all of our vans and fleet are insured to the tune of £15,000. That means your precious belongings are fully covered when in transit with us. We also have public liability insurance which offers cover up to £1 million. Whether you hire us or not for your house removals work, be sure to make insurance the first thing that you ask about when shopping around – you’d be surprised to learn how many companies operate without any insurance whatsoever. That means if anything gets broken or lost during the move, you won’t be covered! All of our staff are experienced in the house removals industry – most of our staff have been with us for a good decade or so! Experience counts for everything in the removals industry – we know how to get the job done promptly, properly and professionally. We pride ourselves on the high quality of service that we offer – so why not try it for yourself? Our vans that operate in the Luton area are fully equipped with satellite navigation devices – as well as some other important tools of the removals trade such as tie rails, blankets, straps and of course sack trolleys. If a house removals job is going to be done properly these tools are all essential. There’s no better way to get more of a feel for the removals service that we offer and the prices that we charge than by calling us or getting in touch right away. We’d love to hear from you – and the sooner we do, the sooner we can book your house move into our busy diary. Absolutely fantastic! Looked after all my items with great care, and were very efficient and friendly too. Couldn’t have asked for better, thanks!